Middle School Students Spread the Adar Cheer! Chodesh Tov! Mishe Nichnas Adar Marbim B'Simcha! Middle School students took it upon themselves to spread the Adar cheer! 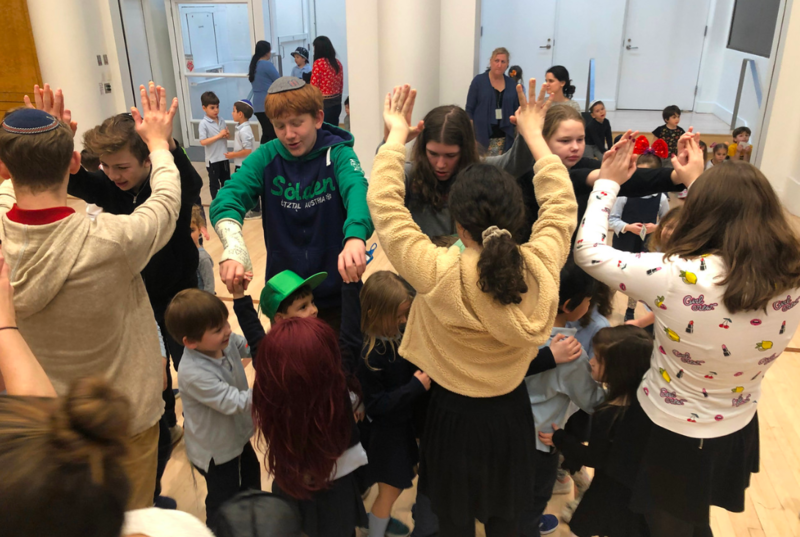 On Tuesday, some fifth graders returned to the Lower School and sang and danced with the third grade and ECC students. Some Eighth graders joined the ECC as they celebrated Rosh Chodesh by singing and dancing together. On Wednesday, the 7th and 8th grade chorus brought Adar ruach to the seniors from the KJ Lunch and Learn program. They sang a medley of Purim songs and more. It was a special way to bring the Rosh Chodesh ruach to others.